We’re thrilled to announce that ArchaeoAdventures Tours and our founder, Genevieve Hathaway, was recently featured on The Woodsy. 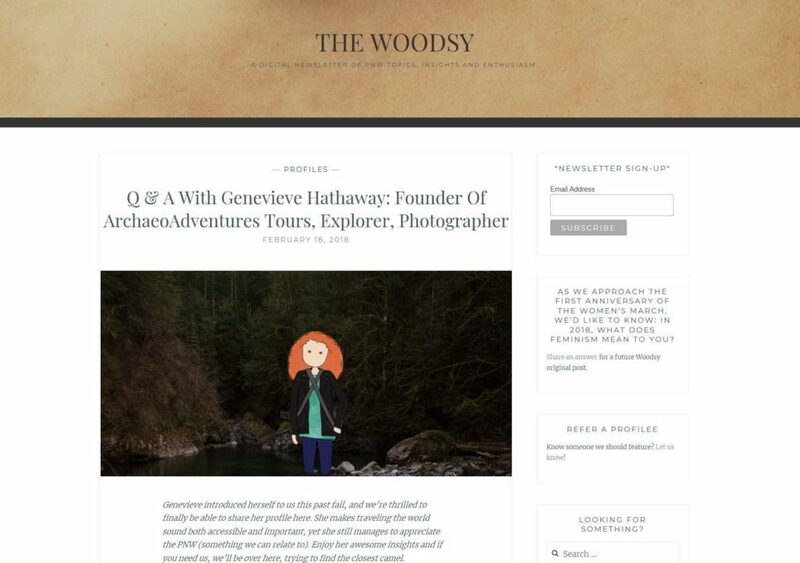 The Woodsy is a digital publication on the Pacific Northwest, insights and enthusiasm. They focus on insightful, engaging and entertaining content with regional themes, and for presenting material that PNW women can connect with, learn from, and relate to. Genevieve sat down with The Woodsy to discuss her journey to founding ArchaeoAdventures, stories from her travels, what inspires her, how she likes her coffee and much much more.